Company profile of Sun Plan. Please check your contact information and access here. Our policy is to pursue high quality of performance from the customer’s point of view and keep providing the knowledge and information about life-living or real estate. We will never compromise to provide our know-how for the customers who are going to renovate or replace for the house of ideal. Customer first policy is the most important for us. We promise to approach our house-making for the customer’s happiness with a reliable attitude. Resona Bank, Ltd. , The Bank of Yokohama, Ltd. The Taiko Bank, Ltd. The Shoko Chukin Bank, Ltd. , The Shizuoka Bank, Ltd., The Shonan Shinkin Bank, The Kanagawa Bank, Ltd. 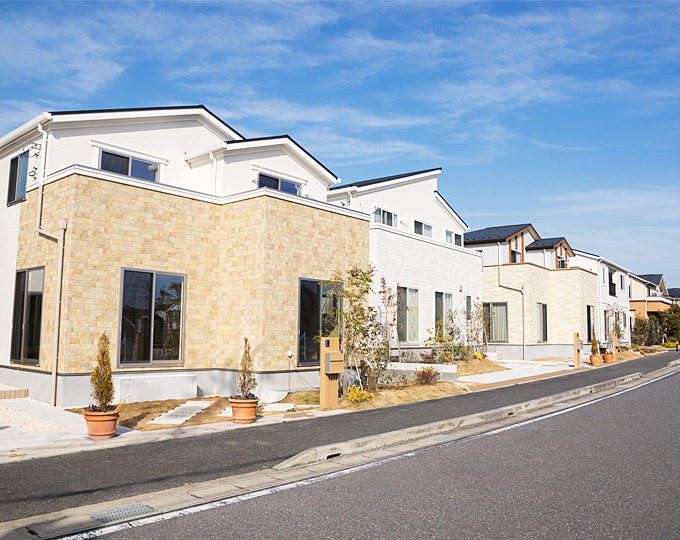 Sales and planning of ready-built houses and condominiums.